In the early days of printing, the "Halftone" printing process produced images through the use of large dots and patterns. With the Halftone Effects template for After Effects, you can imitate that look for your video, and customize it with easy-to-use slider controls. 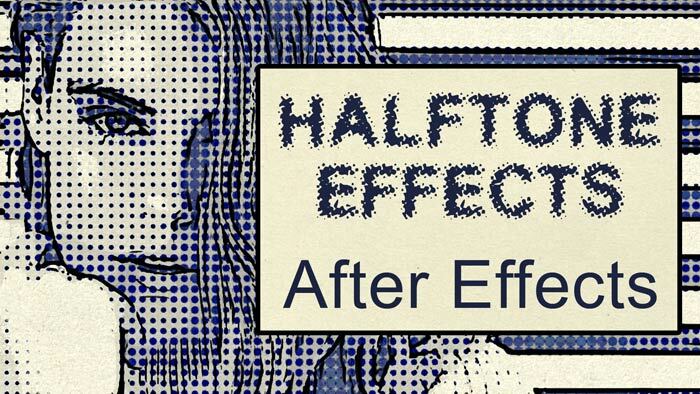 Watch the Demo Video for Halftone Effects. Also includes are 22 animated paper textures to use as your background, and an optional Stop Motion Effect to give the look of a crude stop motion animation. The effects are completely customizable using convenient slider controls. You can adjust the size, shape, and spacing of dots, as well as add an outline, change the detail level, add a comic book-style border, add color from your footage, and more. This template is compatible with CS5 and up. No plugins required. Music and footage placeholders in preview video are not included.